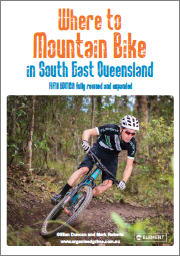 The excessive rain around here means that there aren’t many dirt trails we can ride at the moment without getting bogged in mud. Harrison and I had a look at some of the flooded creeks in the area, but were particularly impressed with all the flood water in Sideling Creek. 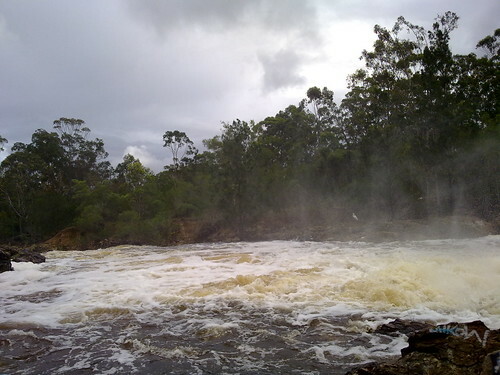 I normally ride the bike across a few rocks over Sideling Creek below the Dam that forms lake Kurwongbah. 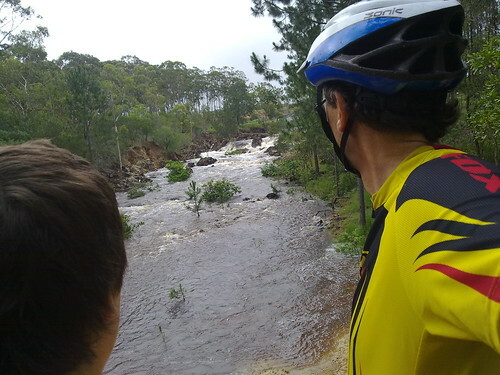 But today, there was no chance of riding across this creek. It was once the physical western boundary of Tom Petrie’s “Murrumba” property after he purchased if from the Griffins in 1858. It was definitely a physical boundary today! 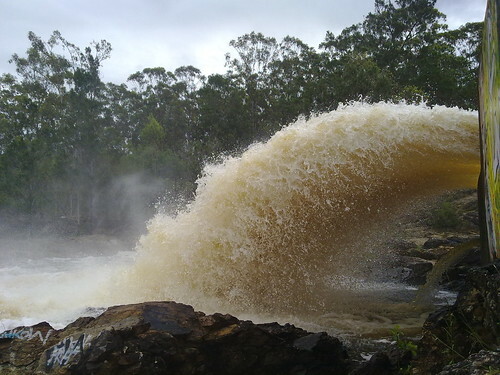 i have taken lots of photos in that spillway – never seen water in it before – looks awesome!